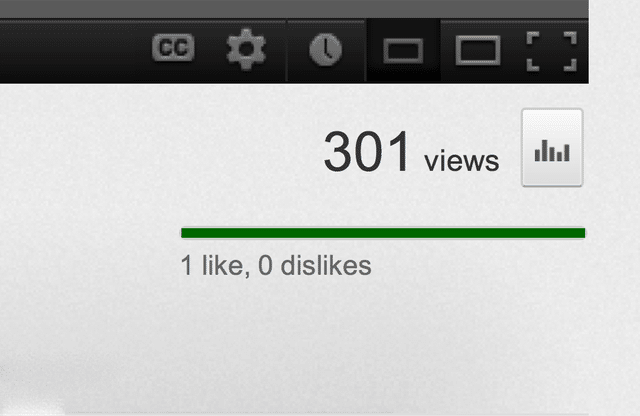 If you’ve been using YouTube for a while now, then you have probably already encountered videos with views stuck at 301. These videos are generally of the popular kind—viral music videos, controversial issues, and the like—which got instant massive views. You can tell that the videos are getting much attention since the comments, likes, and dislikes are disproportionate compared to the 301 views their counters are showing. Now, the problem here is that not everyone knows what the reason behind this phenomenon is. Think about it. Do you know why your or your favorite videos are stuck at 301 views? For so long, people have been kept in the dark why so many videos are getting stuck once their videos reach 301 views. Fortunately, this year, somebody—Brady Haran of Numberphile—have fully investigated and finally discovered how and why videos are stuck at 301. All views a video get until it reaches 300 is counted, regardless of how they are acquired. After 300 views, YouTube verifies the sources and authenticity of views based on its set standard. Views aren’t counted manually, though. The verification process YouTube implements produces a delay in the updating of views, consequently resulting to frozen view counters. Why 301 and not, say, 100 or 200? There’s not much reason except that it’s YouTube’s designated number for its less-or-equal-to code. Wait for the counter to unfreeze by itself. Depending on several factors, this may take anywhere from a day to more than a week. Although it might be excruciatingly painful to wait, doing so takes barely any effort and certainly doesn’t require you to spend money. Get YouTube views from View2.be. If you want to your view counter to unfreeze faster, getting YouTube views is the better option. Not only will you get out from the 301 views of doom, but your chances of getting featured on YouTube’s home page will also increase. This will further assist you in your campaign to get more views, likes, comments, subscriptions, leads, and sales. In a nutshell, getting views will help develop your business, specifically your video marketing project. If in the past, all you can do is wonder why your videos are stuck at 301 views, now, you can make a change. Give your videos a nice boost by getting free or premium YouTube views from View2.be today! “Charlie bit my finger,” “Call Me, Maybe,” and, most recently, “Gangnam Style.” All these are viral videos that, at first glance, might not look anything special. Nonetheless, they became sensational hits, getting millions of views, subscribers, and uploaded thousands of times in different video-sharing and social media sites. Just what made them all viral, and how can you replicate their success for your own videos? Today, we will reveal three secrets that can help boost your video views and, if used wisely, can be the keys to making all your upcoming videos and channel a complete success! Your video must be relevant and helpful to your target audience/customers. Regardless of your topic, your video must contain some of the aspects that all popular videos have such as music, shock factor, cuteness, and the like. Never forget to optimize your video title, description, and tags. Always use a thumbnail that’s both interesting and a correct representation of your video’s content. This is the mother of all secrets when it comes to viral videos. You see, not every viral video got to where they are naturally. A lot of them actually bought their way to the top. Believe it or not, some top companies such as those from Hollywood actually use this method, too. Basically, what you do here is buy views, likes, comments, and subscriptions (views are the most important). Although the method appears to be nothing but cheating, it’s a way to open the gate of opportunities for your channel and upcoming videos. By giving your video a boost, you will get the chance to be featured in YouTube’s home page and given recognition such as the most viewed video on a specific week or category. This consequently leads to people finding your videos easier, which may prompt them to subscribe to your channel and watch out for your next projects. So next time, you won’t need to use any type of boost. Viral videos aren’t all they seem, and you certainly don’t need to spend years and thousands of bucks for your videos to continuously rack views. You just have to be smart with your marketing strategy. Consider the secrets we shared with you today, and give our YouTube services a try; it might just be the key to success waiting for you to use it. To become a popular YouTuber, you will need to have awesome, inspiring, and cool videos. However, to create such videos, you will need an equally great video editor. The only problem is that most video editors today are quite pricey, the cheapest ranging from a couple hundred dollar a thousand bucks. Fortunately, YouTube has made available a free and feature-packed editor. We all know that a video editor is a tool for enhancing the overall look and feel of our videos. However, what exactly can you do with YouTube’s native editor? Oftentimes, you will find that a specific video is too long or that you need several videos to better illustrate your message. At such instances, it will be most beneficial to use the trim and merge features. You can simply cut the parts of the video which you find most useful and interesting and then merge them in your timeline to create a smooth-flowing and entertaining video. There are two main problems YouTube users encounter when recording videos with a smartphone: the video has wrong or orientation and is shaky. Both problems make the video unappealing and even annoying. Fortunately, both these problems can easily be fixed with the YouTube editor. By clicking on your video clip, you can easily rotate and stabilize your video. Just a reminder, though: the stabilization tool can only do so much. If your video is too shaky, the end product will still show some shakiness. Lighting and color are two elements that build the mood and atmosphere of a video. If your raw clip doesn’t portray the ambience you want it to have, then you might want to enhance your video by using the light and color adjustment tools. Sometimes, a smartly-picked soundtrack makes a world of difference. Perhaps that’s one reason why moviemakers spend hundreds and thousands of dollars for producing original soundtracks. If you don’t have your own music, you can choose one from YouTube’s packed music library. Just keep in mind, though, that when you do use one from the library, your video will automatically be ineligible for monetization. Aside from the soundtrack, you can also easily add a nice title and credits to your video, giving it an almost cinematic feel. Just to be clear, you can’t directly download the video with the editor. However, once your video is processed, you will have the option to download your finished piece. Take advantage of this feature for future reference and use. With all those nifty features, the YouTube video editor proves to be quite the handy tool, especially for those who want to edit their videos on the go. Give it a try, and give your videos a nice boost in appearance and, consequently, views. There are a handful of things you need to consider when creating videos for YouTube. Aside from trying to produce content that you think your target customers are looking for, you also have to be sure that your video is appropriate for online viewing. Believe it or not, the most common mistake YouTube video producers make is that they create videos without their audience in mind. Traditional viewers are vastly different from online viewers, so you have to be particular when creating videos. Not sure how they differ? Well, today, you will find out exactly how online audience are different and what you have to do to make your video a perfect web video. Web videos ought to be straightforward. You have to present your case early on if you want to catch your audience’s attention. Creating daring titles, concise messages, and thought-provoking questions and conclusions are the norm to keep your audience curious and looking forward for more. When creating videos for online distribution, you have to highlight your key messages and give short yet clear examples. If you want to offer more information, then do so in your video’s description. If viewers raised questions whose answers aren’t directly provided on your video, then it will be best to either direct them to a more appropriate video (preferably yours) or give them a thorough explanation. Regular videos tend to follow a storyline, with characters, problems, and solutions presented individually and with ample amount of time used in between. A wide array of effects for lighting, sound, and graphics are also used to enhance the look and feel of the film. Quite the contrary, web videos follow the “Simplicity is beauty” rule. That means if you’re going to use effects for transitions, texts, and the like, you have to go for the subtle and minimal. You want your online audience to focus on your message, so you don’t want to distract or annoy them with your lighting, sound, and visual effects. While in regular videos, voice over is often preferred, in web videos, showing yourself as you speak will be better. This is to let the viewers see who you are—a way to communicate and get closer to your target customers and gain their trust. Web videos are generally short, with the ideal length usually lying anywhere between two and ten minutes. While seemingly short, this has already become the standard as online viewers tend to have shorter strands of patience. This is also the reason why you have to be straightforward when delivering your content. If you wish to use introductory and closing clips, be sure to make them short and get to the heart of your message as quick as possible. Also keep in mind that the first few seconds of your video is highly crucial, so make sure they are used for enticing viewers and encouraging them to watch your video throughout. SEO is an integral part of web videos, although a lot of video creators, especially YouTubers, often ignore or forget them. To guarantee that your content will easily be accessible through searches, you have to optimize your metadata. This includes the incorporation of your target keywords on your video title, tags, and description. As much as possible write at least a paragraph for your description, giving ample data about the scope of the video and including as many keywords as naturally possible. Web and YouTube videos have grown and are continuously growing still as the new form of entertainment, education, and advertisement today. If you want to catch up with those at the top, then you have to be highly informed and know exactly what your web and YouTube videos must entail. Use what you have learned here and observe them as you create your upcoming videos. Gaining the top spots in YouTube in terms of subscribers and views is a tough task to accomplish. This is especially true if you have only recently launched your YouTube channel. Although climbing the YouTube popularity ladder might be hard, it is nevertheless possible. Of course, to accomplish such a feat, you will need to promote your YouTube channel and videos as much as possible. Furthermore, you have to learn of the best YouTube promotional methods and tools outside of the video-sharing site itself. Where Should You Promote Your YouTube Videos? So, what promotion strategies should you use to boost your YouTube videos’ views, likes, and comments? If you’re running a business or a non-profit organization, then you might want to create a press release and submit it to reputable PR directories. Your press release must include good information relating to your organization’s goal, recently created YouTube channel, and the topics your videos will tackle. If you create videos to offer information about specific niches, products, or services, then creating complimentary articles and guest posts and sending them to good-ranking sites will be a great choice. When you do, of course, you have to remember to always include the name of your organization and a link to your YouTube channel on your resource box or author bio. For beginner business owners using video marketing as a primary tool, YouTube is already more than enough. While it’s true that you will already be able to reach out to millions of people with only your YouTube channel, having a video website will further expand your reach. Even, better, your video website can serve several other purposes. You can use it as an announcement board for any changes your company might implement and as a store for any product or service you might be offering. Having a blog where you post updates about your company and your YouTube channel is highly useful. With a blog, you won’t need to create very long posts. Quite the contrary, you can simply write one paragraph per post to describe your new videos. Having a website and blog might seem silly since both seem to have the same function. However, blogs tend to have a more sociable feel, which majority of users prefer. With a blog, you can also have another way to communicate with your video followers as blogs let users leave comments on posts. YouTube is getting millions of visitors every day. However, no one can deny the fact that other social media, especially Facebook and Twitter, have tens and hundreds of millions of users who log in to their accounts virtually every day, spending anywhere from a couple of minutes to a couple of hours. If you want to make it big on YouTube, you have to use this knowledge to your advantage. That is to say you should link your YouTube account to your other social media account to easily keep in touch with your subscribers. Submitting your video links to bookmarking sites such as Digg and Delicious will also be beneficial. There are plenty of ways to make sure that you get as much attention as you desire on YouTube. However, one of the best ways is to promote your videos outside YouTube itself. Give the promotion strategies we shared with you today a try, and they will surely give you your much-needed boost. When creating YouTube videos, what part or parts do you put most focus on? If it’s only the quality of your videos and the revenue you will reap that you put emphasis on, then you’re making a big mistake. Today, with YouTube being home to millions of users, you will have to face thousands of competitors simply to catch your prospects’ attention. By having HD quality videos, you can certainly attract viewers. However, without including any means of engagement, how can you be sure those viewers will stick around? By learning about and implementing video engagement strategies, you can boost your chances of getting more views, likes, comments, and subscriptions—all great things that YouTube users aim for. If you’ve been creating videos but are not getting the results you hoped for, then you certainly have to change tactics, from the concept to the distribution of your video. This is something we have mentioned in a previous post, but one thing we can’t emphasize enough. If you want your viewers to watch your video from start to finish, then you have to make it short. The ideal length for YouTube videos is between 2 and 5 minutes. Longer than that, and you might find a decrease in watchers. Given this amount of time, it’s best to present the most important details in the beginning. Any surprising or awe-inspiring claim or fact must be immediately shared and then expanded throughout the duration of the video by providing supporting details. Keep in mind, though, when citing sources and references, that using more credible sources such as highly-respected publications and government websites is always better. There are always news and hits that you can use as a theme for or incorporate in your video, regardless what your actual niche is. For example, the recent sensation, “Gangnam Style,” can be used as an example for a wide array of topics such as entertainment, fashion, and marketing. If you can’t use recent news and trends as a direct example or theme, then simply use it as part of your visual background or audio. Doing so will make your videos feel more relevant and time-appropriate to your viewers. “You don’t understand me!” That’s one complain you’ll hear from people when you try to tell something without actually talking to them directly. It might sound a little confusing when said that way. However, the point here is that your target viewers must feel that you’re really talking to them—that you created a YouTube video specifically because you can relate with their woes, worries, and desires. There are different ways to do that, but one proven way is to use specific names and terms. That is to say you should call out who you want to appeal to (e.g., “housewives,” “aspiring affiliate marketers,” “tennis players”) and use terms they can relate to (e.g., slam dunk, traveling, blind pass for basketball enthusiasts). Just to be clear, emotional doesn’t exactly mean sad, although your video can be, depending on the goal you want to achieve. Your video must always be driven by a specific emotion, based on the topic you’re discussing. Of course, you can always use different sets of emotions, but one of your ultimate objectives must be to make your watchers feel what you want them to feel. For example, if your video focuses on success tips, then you want your watchers to feel confident and ambitious. If you’re doing charity, then you want your watchers to feel sympathetic and generous. Believe it or not, many YouTube users are actually shy, opting to watch videos and nothing more. If you don’t prod them to do more, then you’ll be stuck with nothing but views, which, alone, are not great help for getting revenues. If you want to rack up not just your videos’ views but also likes, comments, and shares, then you have to take the initiative. Pose questions, give a puzzle, or put up a topic for debate—do things that will make your watchers comment, ask questions, and interact not just with you but with each other. YouTube is a great platform for showcasing one’s ability and leveraging one’s business. However, if you’re not able to stand out from the rest of the crowd, then YouTube will simply be another average tool. Use the video engagement tips we shared here today, and you’ll certainly find improvement in your results. Once you start reaping the good results, though, be sure to tell us about it here. With videos and video-sharing sites continuously growing in popularity, there is little doubt why people have started ditching normal blogs in favor of vlogs. Vlogs have proven time and again that personal and face-to-face interaction—almost, in this case—garners better response from audience. How can businesses and entrepreneurs not want to use them as leverage with such an awesome benefit? The only problem is that as the popularity of using vlogs increase, so does the number of competitors you will have. So, the question is: how can you beat your rivals and become a successful vlogger with ease? Before you do anything, you must first get some good equipment. This includes not only the camera you will use but also your much-needed accessories such as tripod, lights, reflector, refractor, white screen, and any other thing you believe you might need. Also make sure to get a good video editing program to polish and add some nice effects to your videos once you have finished recording. You don’t want to confuse your watchers. For that reason, you have to make sure to use and discuss only one topic per video. Research your topic well and create an outline for the information you will share in your vlog. The outline will help not only with directing your vlog’s flow but also for ensuring that you’re sharing as much information as you can. You must have your prompts within reach (so you don’t lose your way or focus). Lighting must be set up. The camera(s) must be ready and positioned smartly (if you’re recording on your own). Any item that you will show on the video must also be organized and set within reach. 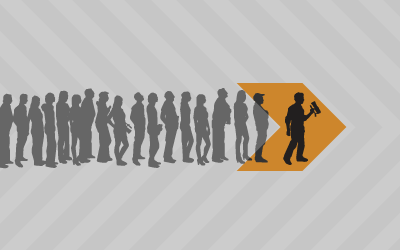 Online users tend to have a short string of patience. If you want your watchers to stick with you throughout the video and keep coming back for more, then you have to keep your videos short and simple. Always be straightforward, use simple terms (try, even when you’re discussing complex ideas), and keep your videos below ten minutes in length (2-5 minutes is ideal). Just because your video is quite short doesn’t mean it can’t be fun. The opposite is actually true. Within the short allotted time, you have to engage your watchers. There are a lot of things you can do to achieve this. You can use humor, share some personal experience (related to the topic, of course), raise questions, and even do polls. Variety is the spice of life, and it’s certainly the spice of the vlogging world, too. By variety, what we mean is that you should offer different types of videos. For example, you can create a presentation-like vlog one day, a tutorial the next, and a simple photo collection the next. Never stick with a single type of video, and always try new things, be it in your backgrounds, decorations, or the effects you choose to use. Who are you producing your videos for? If you want people to appreciate your work, follow you, and give you their trust and loyalty, then you should first do that for them. Reply to comments, give meaningful responses, and put to action all the vital information and insights you get. Doing all these will endear you to your watchers and, in turn, help you climb the vlogging ladder. Vlogging, especially on YouTube, is certainly a great way path to take toward success, regardless what your vision or interpretation of success is. Jump start your vlogging career by keeping in mind the tips we shared with you today. Often, we view schedules as troublesome or a hassle as we think and feel that we have so many things to do despite having so little time. 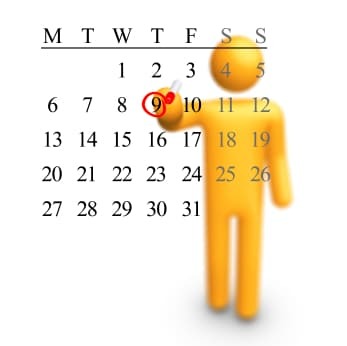 However, when it comes to posting videos on YouTube, schedules become a great feature to have. Save time—there are days when we have so much time in our hands while there are others when we just end up wondering how fast time flies. Instead of cramming your video uploads during busy days, why not save time and relax as you upload them one after another during a free day? Publish videos regularly, on time every time, and on peak viewing times—publishing videos regularly is one of the best ways to get noticed by both the Google spiders and YouTube watchers. Make sure your videos are always published on time by scheduling them. If you want to further gain advantage, schedule your videos at times of the day when YouTube’s viewer count is at its highest. Publish videos while on vacation—vacation and trips are made for bonding with loved ones, exploring places, and simply lazing out. If you don’t want your trips to be cut short or interfered, then you should certainly use the YouTube video scheduler feature. Before we talk about the steps for scheduling videos on YouTube, it’s vital to know that this feature is currently only available to partners. If you’re not a YouTube partner yet, then you should learn more about it through our “Become a YouTube Partner” post. 1. Sign in on Your YouTube account. 3. Click on “Upload,” and choose the video you wish to upload. 4. Under the “Privacy settings,” you will find the tag “Keep private, then go public later.” There, you can select the date, time, and time zone when you want your videos to become accessible to your watchers and the world. 5. Choose a category, YouTube license, and enter a title, description, and tags for your video. 7. Your video is now scheduled! Normal schedules can be a headache, but the YouTube video scheduler feature can certainly help you rid of headaches. Give this cool feature a try today. This is perhaps one hot topic in vlogging that we ought to discuss. You see, when there are new hit videos (imagine nyancat, annoying orange, and “Gangnam Style”), a lot of people become too eager to jump in to the popularity bandwagon, often stealing the popular videos and uploading them on their own channels. They do this generally without thought of the person or company who originally produced them. Now, the question is: is doing so right or wrong? If you observe popular vloggers in your niche, you’ll find that a lot of them follow a trend. For example, in the beauty and fashion niche, a lot of users create a “What’s in my purse?” video. In cooking, trends are often overseen by the season. That is to say, during summer, cold treats are often the subject while in winter, warm soups are generally the norm. When you notice such general trends, you can often follow them and simply add a personal touch on your video. For example, if you’re going to do a “Gangnam Style dance cover,” you can wear costumes while dancing or perform the dance in interesting or odd places like in the mall, the airport, or public transport. You can copy vloggers, but you must be sure to tackle it in a new angle. Featuring videos is very easy, and it allows you to get the attention of those that watch the popular videos or vloggers you chose. For extra points, contact the video owners. Get them to watch, comment on, and recommend your video. Given the above ideas, you can surely create great videos—not from directly stealing other vloggers’ videos but from simply learning from them—and develop your channel and yourself into one of the most popular and respected ones in your niche. YouTube marketing is continuously growing as a favorite strategy among marketers today. This can’t be avoided as YouTube is steadily attracting massive amounts of traffic and followers, thanks to the variety of entertaining and educational materials that can be found in it. While YouTube marketing proves to be a useful tool for boosting one’s bottom line, not everyone is able to succeed in using it. One reason for this is the lack of branding. Title—you can put your channel or company name in the beginning or end of your video’s title. Video—you can include a short clip featuring your channel or company name as part of the video’s introduction, ending, or both. While the above methods are good ways to associate specific videos to you or your company, they can be repetitive and even boring. This may as well be the reason for the development and introduction of the YouTube InVideo Programming feature. The InVideo Programming is a recently launched feature by YouTube. It presents two functions that are aimed toward establishing awareness, boosting popularity, and directing viewers from a user’s more popular videos to less viewed ones. Majority of the TV networks today stick a logo to their shows. This allows watchers to easily recognize the channel, even if it is their first time watching the show they came upon. Quite similarly, you can put a logo on all your videos using the “Feature your channel” option. This logo can be your channel avatar, your company logo, or any custom image you wish to use. You can put the logo in any corner of your video and make it visible for a specific amount of time or through the duration of the video. Regardless of your popularity, you will always find that some of your videos are continuously growing in views while others are stuck at a certain number. With “Feature of a video,” you can direct viewers from your prominent videos to the less popular ones. This will help in boosting your videos’ views and subsequently give your viewers new materials to learn from or be entertained with. Choose the logo or video you want to feature, the position (e.g., top left, bottom right, etc. ), and display time. Your logo or video is now featured! 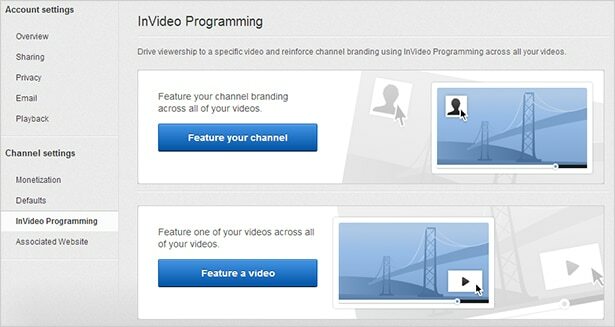 YouTube very quietly released InVideo Programming as if they are afraid the feature will not be useful or popular. However, with the great branding and view-boosting assistance it offers, YouTube InVideo Programming will definitely become a favorite among businesses and entrepreneurs today. If you are still quite confused of how to use InVideo Programming, have a look at the video below. Do not hesitate and give this YouTube feature a try; you might be surprised at the difference it can make for your channel and videos!